16-oz. 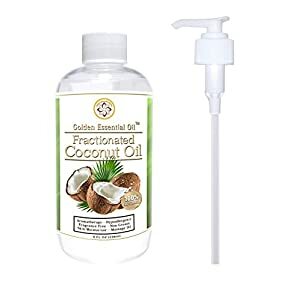 bottle of Fractionated Coconut Oil comes with separate plastic pump dispenser for easy use. 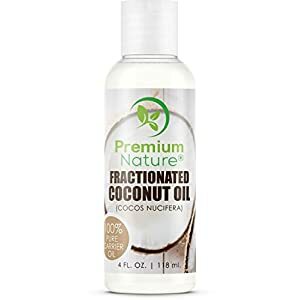 Fractionated Coconut Oil is saturated and concentrated, making it longer lasting and higher in antioxidants. Many skin and hair benefits include moisturizing/hydration, softening, anti-aging and sun protection. FEEL BETTER Reducing internal toxicity benefits the body in extremely noticeable ways. From increased immune system function, to a reduction of important medical numbers, coconut oil helps keep your levels where you and your doctor want them to be. These concentrated softgels harness the power of this nutrient rich food and help balance the body with its MCT. Our Coconut Oil dietary supplement will provide you with a healthy amount of fuel for your engine! POWERFUL AND EFFECTIVE These rapid absorbing and easy to swallow pills are derived from a cold pressed coconut extraction process. These softgels contain powerful active ingredients. They contain no fillers or impurities. These fast acting softgels will help both men and women look and feel great. COCONUT OIL is an incredible dietary food that benefits the body from head to toe. Organically derived from the meat & kernel of the coconut palm, it is rich in nutrients such as Choline & B vitamins. However, its real strength is in its high concentration of healthy fatty acid chains known a medium chain triglycerides & Lauric Acid which are beneficial for various systems. Coconut oil has been used for centuries by people because itâ€s a potent antioxidant that makes hair and skin glow. Buried Treasure MCT Coconut Oil is: Cold pressed pure coconut oil. Flash steamed to extract important medium chain triglycerides. No chemicals were used in manufacturing process. 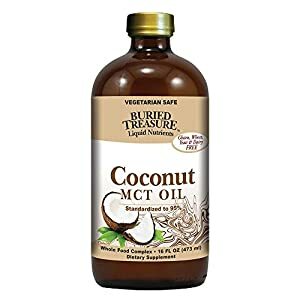 MCT Coconut Oil Benefits: Medium Chain Triglycerides have been shown promise in providing nutrients for brain function. MCT Coconut Oil has also been shown effective for boosting body’s natural metabolic rate. MCT Coconut Oil Uses: Free flowing coconut oil is great to add a 1/4 to 1/2 oz to coffee for a quick mental boost. 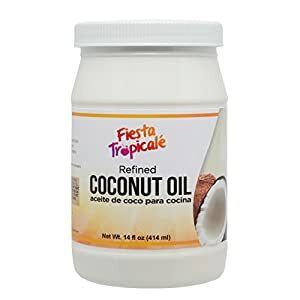 Use in salad dressings for great light coconut flavor. 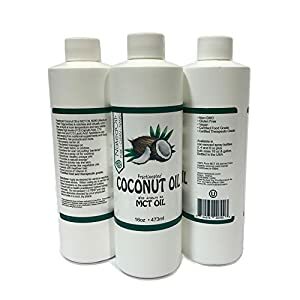 Substitute for low temperature cooking with healthy MCT Coconut Oil! AVOCADO OIL: Avocado oil is rich with vitamins A, E, and K. It has the ability to penetrate deep into your skin to restore elasticity and to make it softer than ever before. It is also great for restoring health to hair. It’s great as a body oil for dry skin, hair moisturizer, massage oils for body, oils for skin, and more! GRAPE SEED OIL: Rich in fatty acids, this oil encourages the regeneration of skin cells which ultimately keeps your skin youthful. 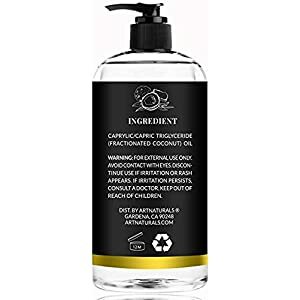 It reduces the appearance of cuts and also cures itchy scalps if used as a deep conditioner. Our Carrier Oils are great as a pregnancy natural oils, they are cold pressed, pure and safe to use! SWEET ALMOND OIL: With vitamins A, E , B, & D, and also Zinc, Calcium, this oil gets absorbed without blocking pores. It is lightweight and odorless, and calms skin inflammation, making your skin touchably soft and smooth. Our oils can be used as carrier oils for essential oil mixing, essential oil sets, gift sets . Mixed with essential oils, our carrier oils can be used for aromatherapy and DIY lotion, blends, fragrances etc. 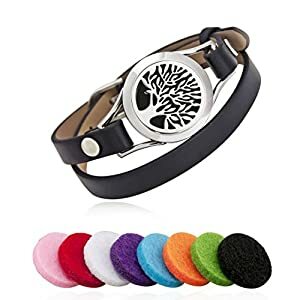 HEALTHY SKINCARE, HAIR, COOKING AND HAPPY PETS: With a spread on toast or spoonful on your coffee or make a healthy granola, smoothies and many more (face mask, conditioning, nails, makeup remover, moisturizer, baby massage oil, anti fungal anti oxidants, supplement, sunscreen, acne, pimples, dandruff, maternity stretch marks, psoriasis) coconut oil serves essential best. When your pets are having a itchy skin or rashes, apply a handful on their skin and see the difference it makes yourself. MONEY BACK GUARANTEE: Providing you with the freshest and finest grade A coconuts is our number one priority. If you are not satisfied, we will return your money back ! NO PLASTIC CONTAMINATION: Other brand’s plastic jars are prone to leaching leading to contamination. Glass jar preserve nutrients in its purest form. Unrefined, Organic, Cold-Pressed preserves MCTs, silky texture and the pleasant tropical aroma of the coconut. Coconut oil proves a healthy alternative for butter and traditional oils like vegetable, olive, canola and Corn Oils. 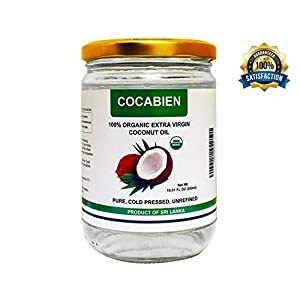 100% ORGANIC COCONUT OIL FOR SKIN AND HAIR! As Seen On FOX ABC NBC and CBS. Two-time Emmy Winner Michelle Stafford brings you Skin Nation, a unique, custom skin care line. 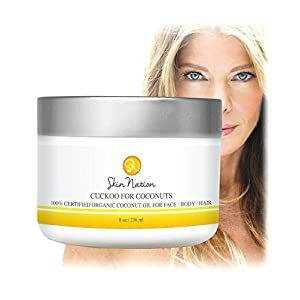 Cuckoo for Coconuts penetrates better then other oils to moisturize and defend against the signs of aging, the best for dry flaky skin and great as a hair mask! Rich in antioxidants, is a also a natural anti-bacterial and anti-fungal and helps fight acne by balancing the skin’s pH. 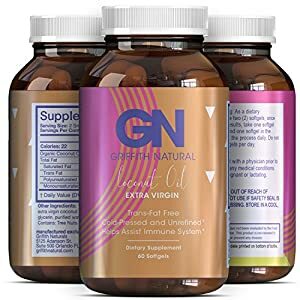 Perfect oil for men and women! THE UNIQUE POWER OF COCONUT OIL: Used for centuries in Asian countries to help cleanse and moisturize the skin. 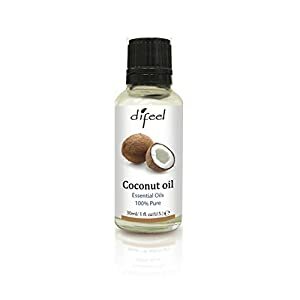 Our 100% Organic Top Rated Coconut Oil deeply moisturizes your skin unlike anything else. Also the perfect Coconut Oil for body scrubs. You can use it without worrying about breakouts. Helpful for Eczema and other skin problems. 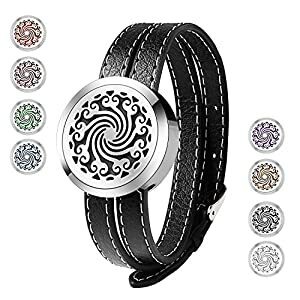 Absorbs quickly into the skin and does not leave a thick greasy residue. IF YOU WANT SHINY AND HEALTHY HAIR? Look no further! Unrefined Coconut Oil Benefits Hair and Scalp. It cleans and moisturizes dry hair and scalp, is excellent for increasing hair’s vitality and therefore it’s appearance of being shiny and free of split ends and damage. Coconut Oil can also help to strengthen the roots of hair. Massage a little bit of coconut oil into the hair and scalp before shampooing, this will also help get tangle free hair afterwards. Or, you can use as a hot oil treatment! 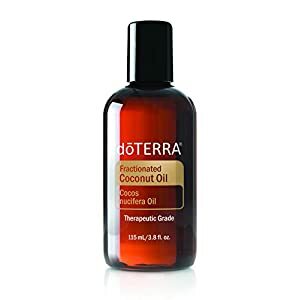 d?TERRA ‘s Fractionated Coconut Oil is an all-natural carrier oil that readily absorbs into the skin making it an ideal oil for topical therapies. Its feather-light emollient effect provides a soothing barrier without clogging pores and is excellent for dry or troubled skin. It leaves skin feeling silky smooth, not greasy like other vegetable carrier oils. Great for cooking, sautéing, or baking up to 350°F. Refined to remove coconut flavor and aroma. Versatile in the kitchen or as a carrier oil. Healthy: it’s easily absorbed by the body, and it is not stored as fat. Full of medium-chain triglycerides (MCTs) and “good” HDL cholesterol. 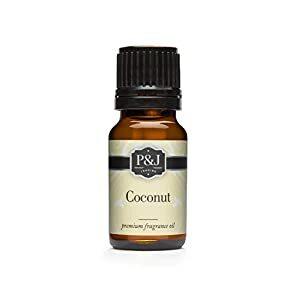 NUMEROUS MULTIPURPOSE USES: Pure Coconut Oil can be made into special receipes to provide the best Aromatherapy sessions. You can mix our oil with other oils to make the perfect massage oils as well. 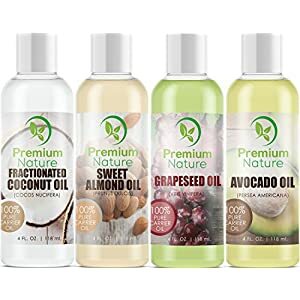 Coconut Oil Fractionated is the best face moisturizer, makeup remover oil, sensitive skin moisturizer, skin oil, hair moisturizer, aromatherapy oil, lip moisturizer, body oil for dry skin and more! It can be used in eczema treatment, dry scalp treatment, dandruff treatment and psoriasis treatment. HELPS HAIR GROW LONGER & STRONGER: Our special brand of coconut oil contains a wonderful balance of saturated fats that helps hair grow in longer, thicker and stronger than ever! Organic unrefined Cocunt Oil will provide you with the best natural skincare possible.